Trips run with 1 to 8 people. More guides may available to accommodate larger groups. Please contact us if you have a request. Children as young as 8 may join the tour. Start times are 11:00 a.m., 2:00 p.m and 5:00 p.m. If none of the start times work for you, please contact us for the possibility of a different start time. You don’t need to go far from the shore to experience Lanzarote’s thriving sea life. Just beyond the beaches, a rainbow of sea life thrives on the sandy seafloor. 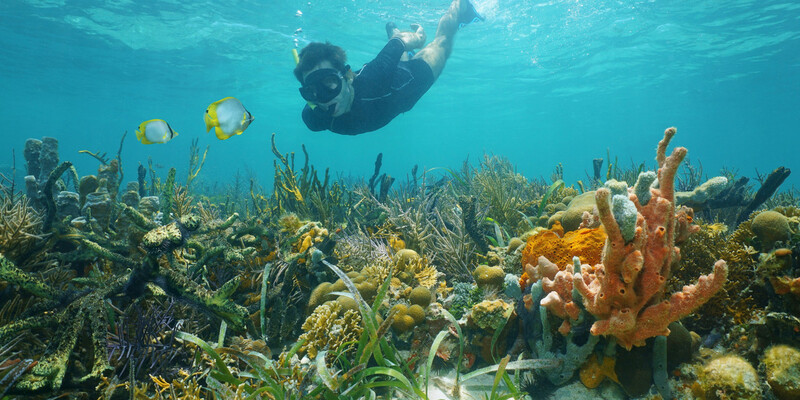 Take a snorkel safari around the island’s edge and get to know the diverse wildlife. After your guide picks you up from your accommodation, you head to Caleton Blanco, a beach of bright white sand and spotted with black volcanic rocks. 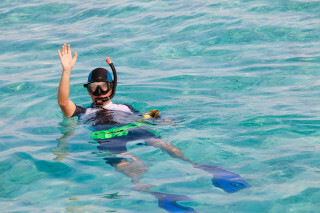 You receive all the equipment you need for snorkeling. 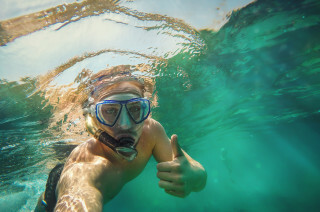 Once your guide explains the best snorkel techniques to protect yourself and the environment, the sea is yours to explore. 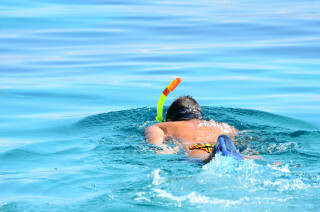 The snorkeling fun begins in a natural lagoon of turquoise waters. From volcanic explosions many years ago, the lava flowing in the sea cooled to create intricate rock formations and great homes for many species. Flip your fins and witness the busy ecosystem among the coral, including barracuda, parrotfish, and maybe an eel. As your swim, your guide makes sure to point any large or special creatures making an appearance. Next, we make our way to the deeper water off the coast. Once you’re swimming over reefs full of coral, sponges, fish and more, you’ll understand why the entire island was named a UNESCO biosphere reserve. This title ensures the protection and management of the environment’s natural resources and species. So when we snorkel, we take extra caution not to disturb any wildlife. 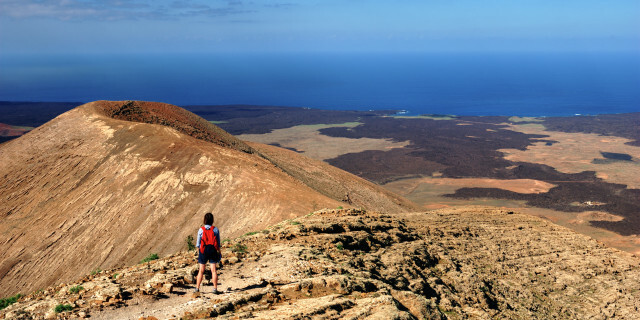 Find magnificent nature and explore the volcanic coastline of Lanzarote. The water may be an endless sheet of turquoise, but with snorkeling, you discover the range of colors beneath the surface.